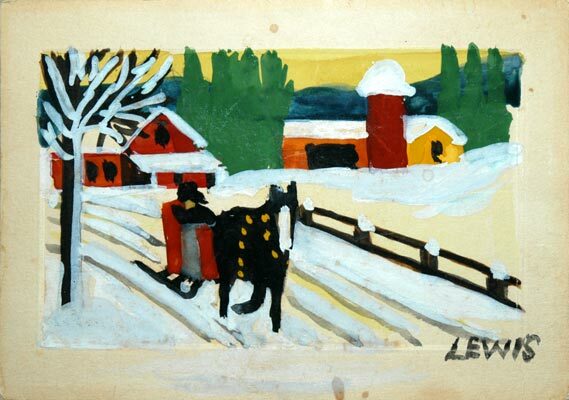 Description: signed Maud Lewis 6.5"x4.5", comes with hand written Christmas wishes inside "Dear Bunny- The mince meat was perfect- We tried it and we know. Simply delighted! The best of everything in 1960.- Marie", 1959. Maud got these blank cards from the Editor of The Digby Courier, Edith Wallis, and sold them for 5 cents each. Comes with provenance. Guaranteed authentic. A VERY RARE find.